Cuban Travel Photography Gallery : photos, photographs, pictures and images of Cuba. For travel information on Cuban hotels, tours and flights see the Havana and Cuba Travel Guide. 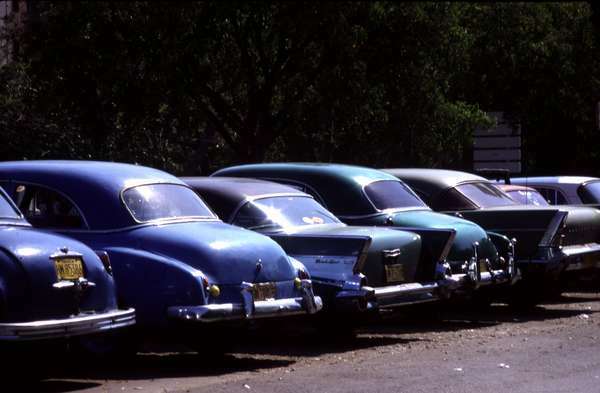 Photo of Cuba, beautiful American oldtimers from the late fifties parked in the centre of Havana as in their glory days. On the inside a lot has changed : wooden structures are supporting the seats and tiny Lada engines are powering them.